The Green Business Certification Program is an umbrella recognition program that accepts businesses certified by a number of third party organizations listed below. Businesses are encouraged to pursue the certification standard that is most in line with their operations and values. Please contact the organizations listed below for specific information on their certification standards to determine which one is most appropriate. In some instances, the appropriate standard is quite clear. For example, if you are a hotel you should pursue certification through Green Seal since it offers a standard tailored specifically for hotels. In other instances, it is not entirely clear what makes the most sense for your business. The Department of Environmental Protection is happy to guide you in this decision making process. Businesses in commercial office space: Applies to the functioning of an individual office or suite of related office buildings, and not the entire company. Operational aspects focus on organizational commitment, waste reduction and recycling, environmentally preferred purchasing, energy and water efficiency, transportation and travel and sustainable landscaping and stormwater management (if applicable). Landscape businesses: Applies to a company’s landscaping work within Montgomery County and encompasses a comprehensive set of operational aspects with a particular emphasis on the projects it designs, installs and/or maintains. Garden centers are also included (if applicable). Focus areas include organizational commitment, air quality, energy efficiency, waste management, environmentally preferable purchasing, integrated pest management, water and soil. Our Green Business Team will provide general guidance and is available for free technical assistance and strategic advice for up to four hours for businesses pursuing DEP certification. Contact us to get started. Note: For both applications, a Continuous Improvement Program with integrated Sustainability Metrics is required. Check out the Continuous Improvement and Performance Measurement page for more details. Scope of Certification: Applies to the entire company and encompasses comprehensive set of operational aspects including governance and the impact on the environment, workers, customers, and the broader community. Corporate governing documents must extend fiduciary responsibility beyond shareholders to consider the interests of the environment, community, employees and consumers. Note: In order to be recognized by the Montgomery County Green Business Certification Program, a business must achieve an above average score on the Environment section of the B Impact Assessment. Scope of Certification: Global processing standard for textiles. Environmental criteria entails the use of certified organic fibers; prohibits toxic heavy metals, formaldehyde, and other critical inputs; and requires all chemical inputs to be biodegradable and eliminable. The standard covers the processing, manufacturing, packaging, labeling, trading and distribution of all textiles as well as compliance with social criteria. 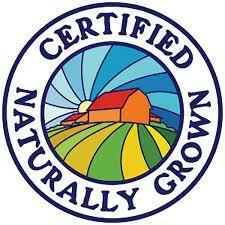 Certification applies to products (e.g., clothing, beds, etc.) as well as processors, manufacturers and traders and extends to affiliated retail stores and showrooms. Scope of Certification: Applies to the entire company and encompasses operational aspects focusing on restoring and protecting the environment; social and economic justice; vibrant, inclusive local communities; and personal health, well-being and fulfillment. Note: In order to be recognized by the Montgomery County Green Business Certification Program, a business must achieve GOLD certification and re-certify every three years. Scope of Certification: Applies to individual restaurants and food services and encompasses operational aspects focusing on water efficiency, waste reduction and recycling, sustainable furnishings and building materials, sustainable food, energy, disposables, and chemical and pollution reduction. Note: Level 1, 2 Star, 3 Star, and 4 Star are all recognized by the Montgomery County Green Business Certification Program. To be recognized by the County under Level 1, a minimum of 80 GreenPoints™ is required. Residential and commercial cleaning services: Applies to commercial, public, residential and industrial building cleaning services and encompasses operational aspects focusing on environmental improvements that reduce toxicity, waste, and exposure to both occupants and staff. Restaurants and food services: Applies to individual restaurants and food services and encompasses operational aspects focusing on sustainably-sourced food, waste minimization, use of environmentally-preferable products, and conservation of energy and water. Hotels and lodging: Applies to individual lodging facilities only, and does not include swimming pools, golf courses or restaurants that are not owned and operated by the property. Focus areas include waste minimization, reuse, and recycling, energy efficiency and conservation, management of fresh water resources and waste water, and reduction and handling of hazardous substances. Note: All standards, including all levels of the Hotels and Lodging certification -- Bronze, Silver and Gold -- are recognized by the Montgomery County Green Business Certification Program. ISO 14001 is an international standard that specifies the requirements for an environmental management system. Meeting these requirements allows an organization to enhance its environmental performance (although it does not state specific environmental performance criteria). It is intended for use by an organization seeking to manage its environmental responsibilities in a systematic manner that contributes to the environmental pillar of sustainability. ISO 14001 is applicable to any organization, regardless of size, type and nature, and applies to the environmental aspects of its activities, products and services that the organization determines it can either control or influence considering a life cycle perspective. Note: While ISO develops the 14001 standard, along with other standards, it is not involved in assessing conformity with that standard – this is done independently by certification bodies worldwide. The Green Business Certification Program only recognizes businesses whose management system has been independently audited and confirmed as being in conformity with ISO 14001. The current standard is ISO 14001:2015. Businesses certified through the former standard, ISO 14001:2004, will be recognized through the transition period which ends in September 2018. Scope of Certification: Organic certification verifies that a farm complies with the USDA organic regulations, administered by the USDA National Organic Program. An Organic Systems Plan describing practices and substances used in organic production, as well as record-keeping systems, is vital to the certification process. Any land used to produce raw organic commodities must not have had prohibited substances applied to it for the past three years. The County Green Business Certification Program recognizes crop, wild crop and livestock farms. Flower Producers. Certification demonstrates that in the production and handling of cut flower products, you are meeting leading standards of environmental, social and quality performance in the floriculture industry. Potted Plant Producers. Certification proves that in the production and handling of potted plant products, you are meeting leading standards of environmental, social and quality performance in the ornamental horticulture industry. Input Materials. 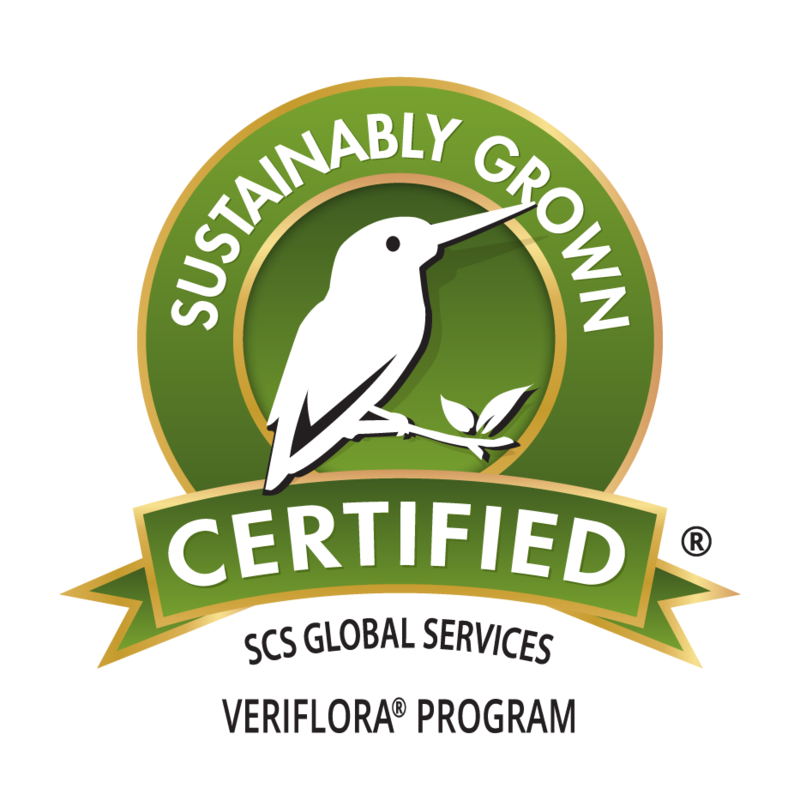 Product approvals are issued for input materials that are demonstrated to reinforce the sustainability objectives of certified Veriflora® Sustainably Grown producers. In addition, a Responsible Horticulture Peat Moss Production Annex has been created for peat moss producers who are seeking recognition for their responsibly managed peatlands. Preferred Retailers. The Veriflora® Preferred Retailer program helps florists, grocers and garden center retailers interested in promoting the sale of sustainably produced cut flowers, and potted plants.